The Minsk II agreement was the result of negotiations between Ukraine, Russia, France and Germany. Its adoption in February 2015 came after the earlier Minsk I agreement, signed in September 2014, failed to stop the fighting in eastern Ukraine. From a Ukrainian perspective, the Minsk process was shaped from the beginning by a number of strategic miscalculations and mistakes, including a failure to break diplomatic relations with Russia in light of an aggression; failing to insist that the USA and the United Kingdom (as guarantor states of the Budapest Memorandum) were present at the negotiating table; and failing to insist that the occupation of Crimea formed part of the agenda for talks. The content of the subsequent agreements reflected these mistakes—though they might have been difficult to implement under any conditions, since they disregard international practice and conflict resolution experience: moving from a ceasefire, to stabilization of the security situation, and then a transition to a political settlement. However, the conditions in the Minsk II agreement have become increasingly divorced from the reality of the conflict they intended to resolve. A realistic algorithm could have been based on a peacemaking mission, followed by disarmament, demilitarization and demobilization, implementation of amnesty and, following a 3–5 year period without direct confrontation, elections in the post-conflict territory. In reality the very first elements of the agreement—the immediate and full ceasefire, and the declarations that heavy weapons have been withdrawn from the front lines—have been disproved by regular reports by the OSCE Special Monitoring Mission recording the presence and use of heavy weapons in the prohibited area. 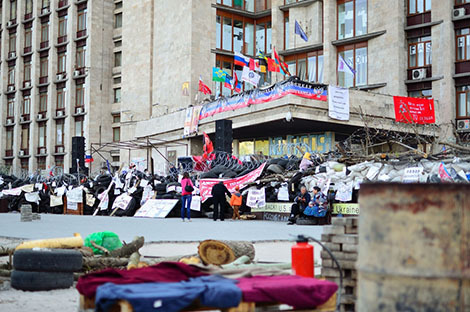 The forces of the Donetsk People’s Republic (DPR) and Luhansk People’s Republic (LPR)—two self-proclaimed states between Ukraine and Russia—have not provided identification numbers that would allow their weapons to be monitored. The Russian assertion that it is not a party to the conflict is increasingly rejected in light of mounting evidence that Russian regular armed forces, as well as military intelligence personnel, are engaged in training, equipping and supplying the separatist forces as well as their command and control structures. This has led to the EU imposing sanctions on Russian officials. The Minsk II agreement envisages a certain logic in the sequence of the agreed actions. However, whether the sequencing is feasible or desirable has caused serious disputes between the parties, and is a major stumbling-block in the current process. The timing of elections that are called for in the Minsk II agreement is one serious problem. The preliminary plan for implementing the agreement, proposed by Western partners, envisages placing heavy weaponry and military equipment in specially designated places under the supervision of the OSCE, prior to withdrawal after local elections. Moreover, the Minsk II agreement stipulates that the process of restoring control over the state border to the Ukrainian government in the whole conflict zone should begin after local elections in particular districts of the Donetsk and Luhansk regions, based on constitutional reform that includes significant decentralization. However, without full implementation of the ceasefire, the withdrawal of heavy weapons and foreign troops and mercenaries, and full access to all territories for the OSCE, local elections could not be organized in accordance with OSCE standards. Forcing the Ukrainian domestic political process to proceed in line with a diplomatic agreement, but without the most important improvements to the security environment, could be counter-productive, and elections carried out under the wrong conditions could complicate, rather than facilitate, a sustainable settlement. Nevertheless, although Western partners and all key persons in the Minsk process understand the impossibility of holding elections under present conditions, in 2016 Western representatives are pressing Ukraine to carry out the political parts of the Minsk II agreement. The timing of the elections was previously set for the spring but, seeing that preparations are not taking place, Berlin, Paris and Washington have suggested postponement until late summer. Whether this is realistic is open to doubt since the positions of Ukraine and Russia on election modalities are fundamentally different. The Ukrainian position underlines that democratic elections should be held in accordance with Ukrainian legislation (as the Minsk II agreement requires) and OSCE standards. This would require free access for the media and international observers, a proportional system with the participation of all Ukrainian political parties, the participation of the National Central Election Committee, and arrangements to allow full participation in the elections by more than 1.5 million internally displaced persons. The leaders of the self-proclaimed DPR and LPR call for elections using a simple majority, without participation of all political parties, without access for Ukrainian media and without allowing internally displaced persons to vote in the elections. An election under such conditions would not produce a result that could promote a sustainable resolution to the conflict. To facilitate the political process, the Ukrainian authorities propose the formation of a special police contingent, under the auspices of the OSCE, to act as a guarantor of security in the conflict territory before, during and after the elections. Predictably, Kyiv and Moscow disagree on the size and mandate of such a contingent. While Russia has been willing to discuss the appearance of an armed OSCE police contingent in Donetsk and Luhansk (though final approval has not been given), Moscow rejects even the possibility of an armed contingent in the vicinity of the Ukrainian-Russian border. In discussing the potential formation of the police mission, Russia proposed the involvement of observers from Belarus and Kazakhstan, which was not supported by Ukraine in case such a presence increased Russia’s influence. The failure of the political leadership of Ukraine to find an acceptable and effective way of resolving the conflict in eastern Ukraine has put President Poroshenko, the fragile parliamentary coalition, and the government created by this coalition, in opposition to the majority of the Ukrainian nation. While the future of the Minsk II agreement is unpredictable, Ukrainian public opinion is increasingly doubtful about its merit. In the latest public poll more than 58% of respondents believe that Ukraine lost as a result of the signing of these agreements; 67% do not believe that the Minsk agreement will lead to the end of the war; 74% disagree with implementation of some parts of the agreement by Ukraine before reciprocal action to return full sovereignty and control in eastern Ukraine; and 58% do not trust the Ukrainian authorities to find a way out of the current situation and support a national referendum on a new way forward. The term ‘frozen conflict’ is used more and more often, and outside Ukraine it may be that this is seen as the least worst available option. Negotiations on the peaceful settlement of other conflicts in Europe have lasted for more than two decades without results and there is a chance that negotiations in Minsk will suffer the same fate. For Russia, the main goal in the Minsk process is undoubtedly forcing Ukraine to recognize wide autonomy for the Donetsk and Luhansk region. 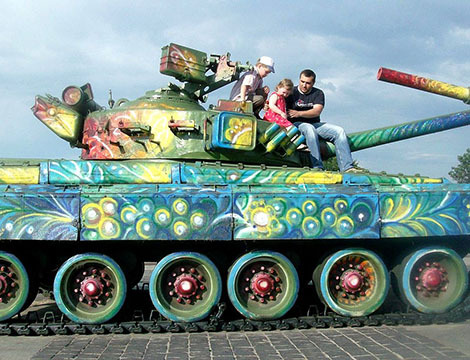 This would give a local authority a strong say in policy areas normally reserved for national decision-makers, such as the foreign policy, military and financial spheres, and external economic and cultural ties with neighbouring countries, thereby legitimizing separatist regimes, and authorizing them to define the future of Ukraine. 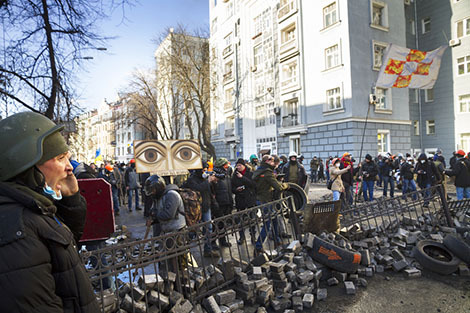 Ukrainian authorities may freeze the conflict through inertia. There are various different ways that a durable solution could be approached. For example, the particular districts of the Donetsk and Luhansk regions could be given wide autonomy. Alternatively, the uncontrolled territories of the self-proclaimed DPR and LPR could be designated temporarily occupied, while planning for eventual recovery by an active offensive or continuing a war of attrition. However, while these approaches would require complex steps taken in parallel by relevant state bodies, the Ukrainian government has done little in the two years since the beginning of the war to create the structures and processes needed to follow any of them. The Western approach risks magnifying problems for the whole of Ukraine by trying to moderate the conflict in part of the territory by promoting controversial constitutional reforms and premature elections held under the wrong conditions. This feeds the perception in the Ukrainian public that the objective is to freeze the conflict at a level where it does not disturb other European countries, and to forget the ‘Ukrainian story’ for a while. Iuliia Prudnyk worked with SIPRI’s European Security Programme.